← Daniel The Prophet of God – World History in Advance – April 23, 536 B.C. Did Jesus Rise From the Grave on April 23rd in A.D. 33? Many scholars believe that Christ died and rose from the dead again in A.D. 30. Others prefer a date in AD 33, although champions of several other dates can be found. If the events recorded in the Gospels took place in AD 33, then this day in the year 33 is the probable date for Christ’s resurrection. The witness of the Christian Church and of convinced believers across the centuries has affirmed that without the Resurrection, there could be no Christianity. The cross of Christ makes no sense without His triumphant restoration to life, for it is the Resurrection that explains His death as a sacrifice for sins. It is the Resurrection that proves Christ was no liar. 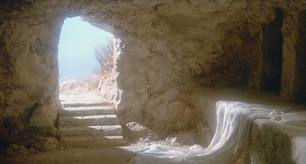 It is the Resurrection that gives us hope of a new, eternal life, showing to us that as Christ rose, so will we. The Resurrection is the one fact that the apostles and early Church constantly held forth as the vindication of their message. It is the oldest traceable doctrine of the early Christian liturgy. Even notable anti-Christian scholars admit that the early church held the Resurrection as fact, however much those same scholars hope to show that the Church was mistaken in its belief. 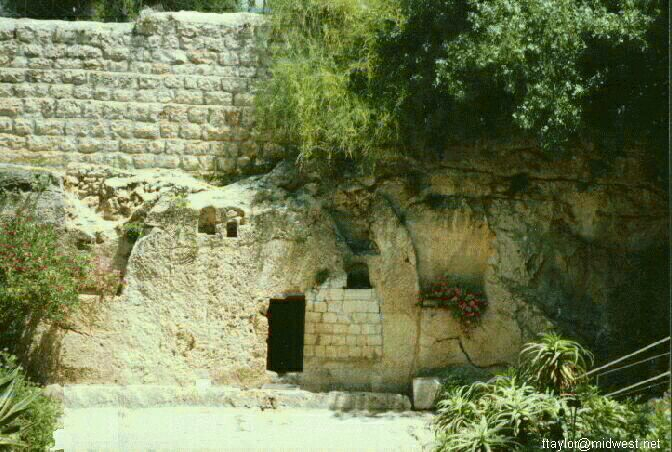 The records we have tell us that Christ was buried, His tomb sealed and soldiers posted around it. At about dawn of the first day of the new week (Sunday), there was an earthquake because an angel came down from heaven and rolled back the stone. The guards were so frightened that they fell senseless to the ground. At that time, some of Christ’s female followers were on their way to the tomb to anoint His body. They were no doubt wondering how they would roll way the stone. Imagine their surprise when they found it rolled back and Christ’s body gone! Thinking that His body had been removed, they began weeping. One of them asked a gardener if he knew where the body had been taken. Then she recognized the “gardener” as Jesus himself. The women rushed back to tell the disciples what they had witnessed. Peter and John raced to the tomb and found that all was as the women had said. An angel assured the men that Christ was indeed risen (see Matthew 28:1-20; Mark 16:1-20; Luke 24:1-49; John 20:1-30). Afterward, Jesus appeared several times to His disciples and to His brother James. All arguments against the Resurrection must deal with the eyewitness testimony of the early disciples, the great Church that sprang from it, the witness of changed lives around the world and the empty tomb. Modern dimensional mathematics suggests the plausibility of Christ’s appearances, and modern physics demonstrates the necessity of additional dimensions, bringing the account into the sphere of scientific plausibility. The Church has historically insisted that our Christian life would be impossible without the Resurrection, for through it Christ has removed the sting of death from all those who believe in Him. “When the perishable puts on the imperishable, and the mortal puts on immortality, then shall come to pass the saying that is written: ‘Death is swallowed up in victory.’ ‘O death, where is your sting?’ The sting of death is sin, and the power of sin is the law. But thanks be to God, who gives us the victory through our Lord Jesus Christ. Therefore, my beloved brothers, be steadfast, immovable, always abounding in the work of the Lord, knowing that in the Lord your labor is not in vain” (1 Corinthians 15:54-58). 1616: William Shakespeare died. The great poet-playwright quoted from or alluded to the Bible hundreds of times in his plays and other works. 1849: The young Fyodor Dostoevsky was arrested and accused of plotting to overthrow the Russian government. After a terrifying appearance at a fake execution, he was exiled to Siberia, where he took comfort in the Bible. Later he wove Christian themes into his novels. 1950: Lutheran Bishop Otto Dibelius of Germany issued a protest against teaching materialism as a substitute for religion in state-sponsored youth movements. 1959: The communists of Poland confiscated Church properties. The congregations were required to lease the properties back for their use. 1960: Japanese Christian Socialist Toyohiko Kagawa died on this day. Kagawa sought to literally apply God’s words by embracing the lowest orders and slum populace. 1982: Cameron Townsend, founder of Wycliffe Bible Translators, died. Wycliffe Bible Translators is one of the world’s largest missions organizations. *Adapted from Did Jesus Rise From the Grave on April 23rd in A.D. 33?, in the book This Day In Christian History edited by A Kenneth Curtis and Daniel Graves, Camp Hill, PA: Christian Publications.